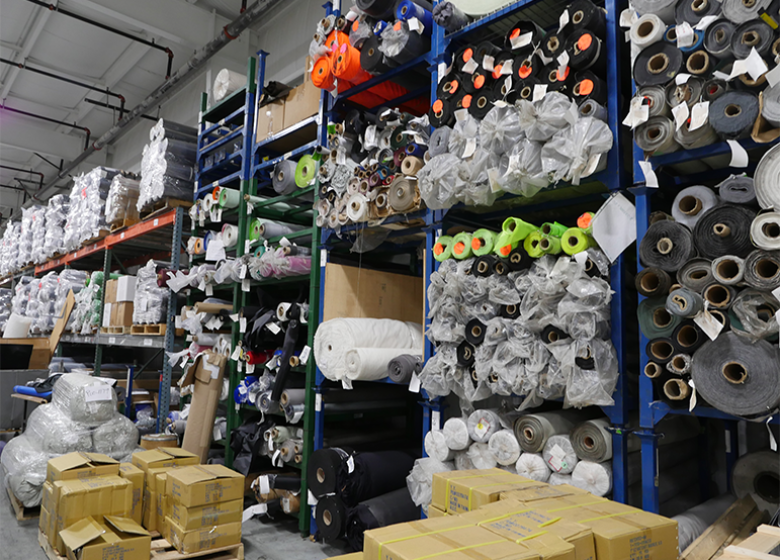 We have many computerized and special operation sewing machines for different applications. 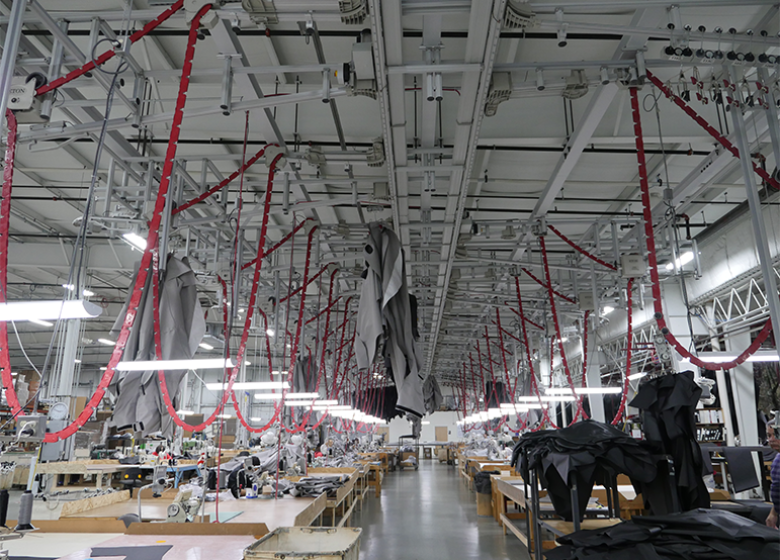 Most of the sewn products are manufactured on a “lean” production management system where cut parts are loaded onto our ceiling Eton system that holds all the canvas sections to be sewn and routes the materials to each station. 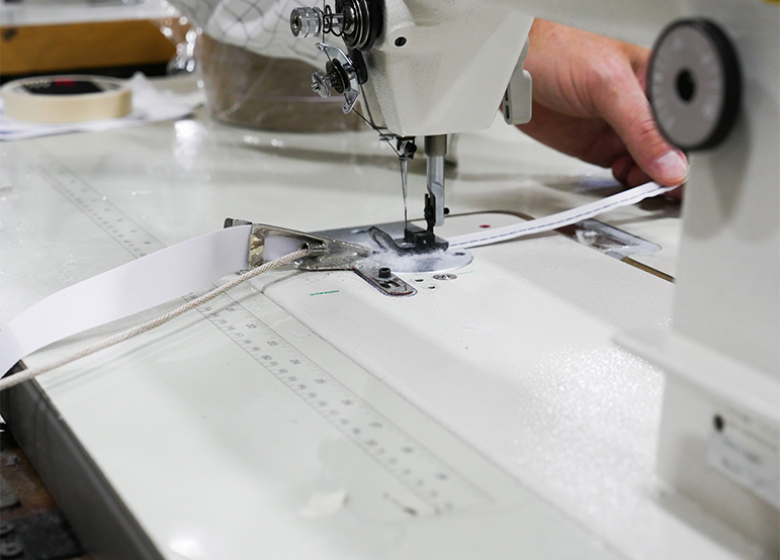 Each sewing station has the specific set of instructions and is monitored for time and quality. 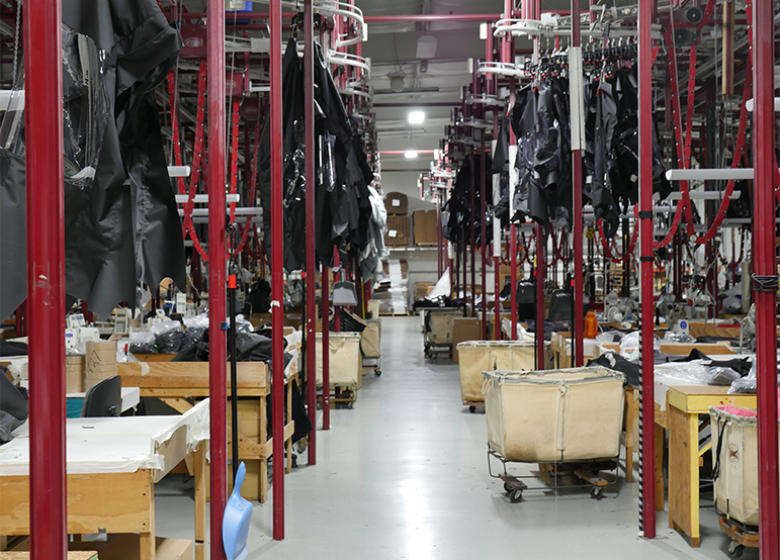 Our production sites utilize the most current hot air seam welding equipment for thermoplastic and industrial fabric industries. 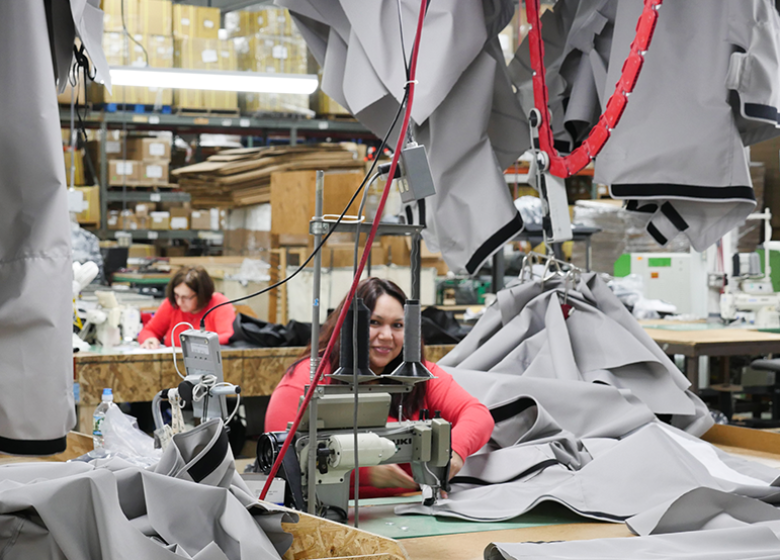 The hot air and pressure fuse seams together making them waterproof verses sewing seams together. Two products using this equipment are marine transportation covers and commercial truck load covers.